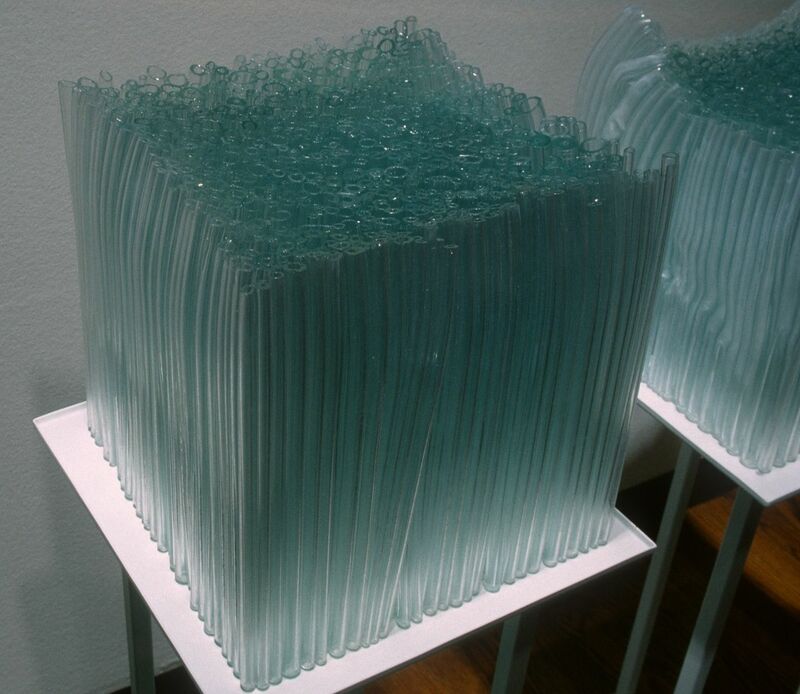 My sculpture glass pieces emphasize the way light and glass interact. 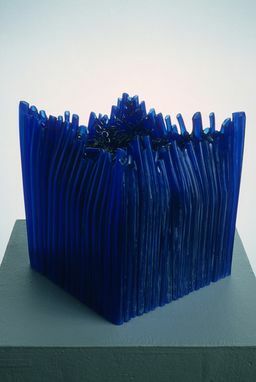 In the tubing cube series, handmade glass tubing is blown, cut, and fused in the kiln to create textural blocks of glass. 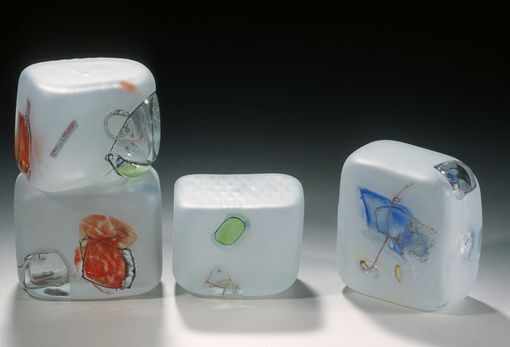 In the blown glass block series, the glass is treated like a canvas for whimsical abstract designs created with copper wire inclusion and colorful glass powders. My sculptural pieces can be custom made for preferences in size, color, and display.